Here's video of the descent off of the stunning Col du Galibier, which DangerousRoads.org lists as one of the most scenic roads in the world. Here's a picture of Val and me at the summit, with spectacular views in every direction. 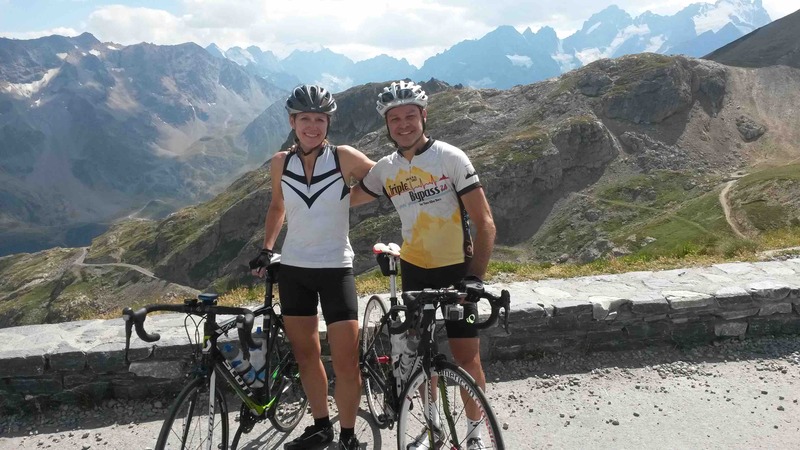 The paved road behind us is the road from the south, to/from the Col du Lautaret. 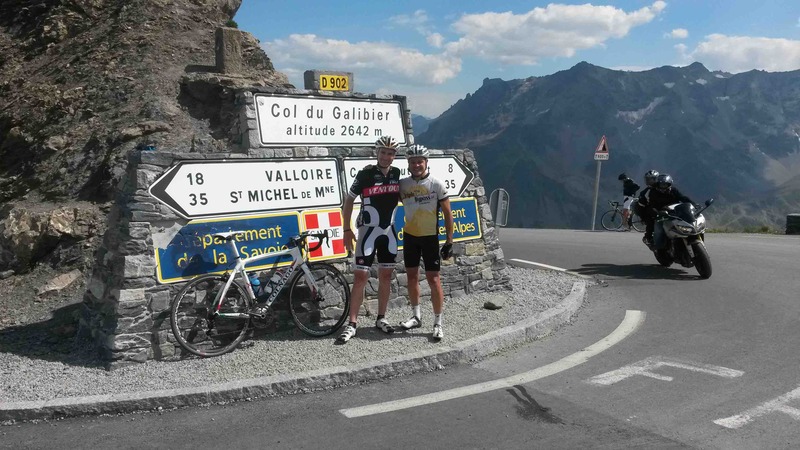 And here's a picture of Tim and me at the Col sign.